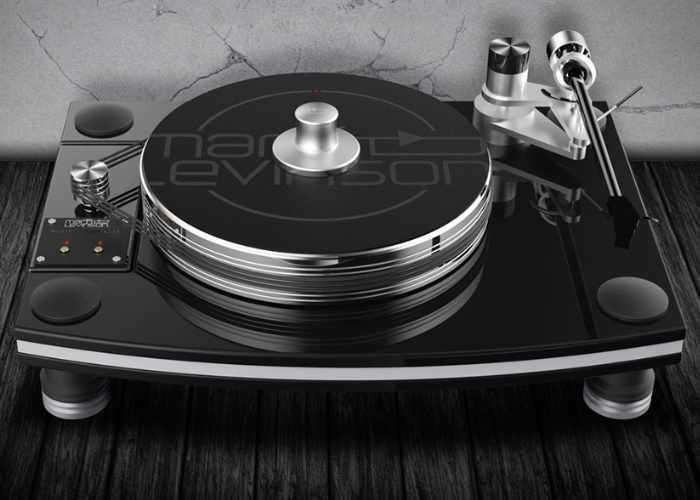 Anyone with deep pockets looking for a new record turntable may be interested in the Mark Levinson № 515 premium-caliber turntable which was unveiled at the beginning of this year and is now available to preorder with prices starting from $10,000. The № 515 turntable design is based on a highly damped vinyl-wrapped MDF and aluminium sandwich main chassis, which is supported by machined Delrin and Aluminium Mark Levinson feet with a vibration-damping polymer core. The 20-pound Aluminum platter rotates on an inverted bearing, which employs a hardened stainless steel shaft spinning in a phosphor bronze bushing for maximum rotational accuracy. The powerful high torque AC synchronous motor is mounted to a separate vinyl-MDF-Aluminum sandwich chassis and housed in its own mechanically isolated enclosure. A precision-machined pulley and triple belt drive system provide smooth, quiet operation. A custom-designed, low-distortion analog oscillator and discrete, class AB power amplifier deliver pristine power to the synchronous motor for accurate 33 and 45 RPM operation. For more information on the new Mark Levinson № 515 jump over to the official website for details by following the link below.